@BifBangPow: ‘KISS’ Your Thirst Goodbye with New In Stock Collectibles! ‘KISS’ Your Thirst Goodbye with New In Stock Collectibles! 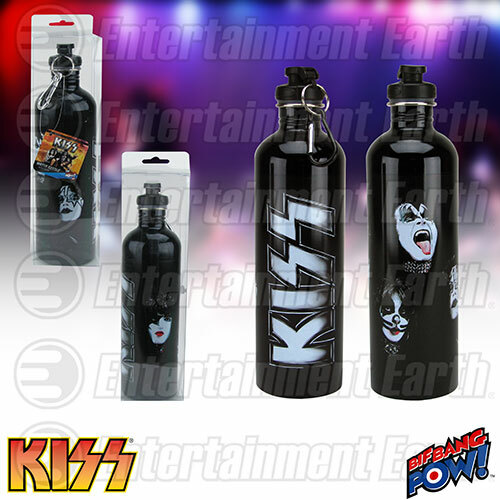 Quench your thirst for rock n’ roll with these new KISS items from Bif Bang Pow!. All are In Stock now at Entertainment Earth. 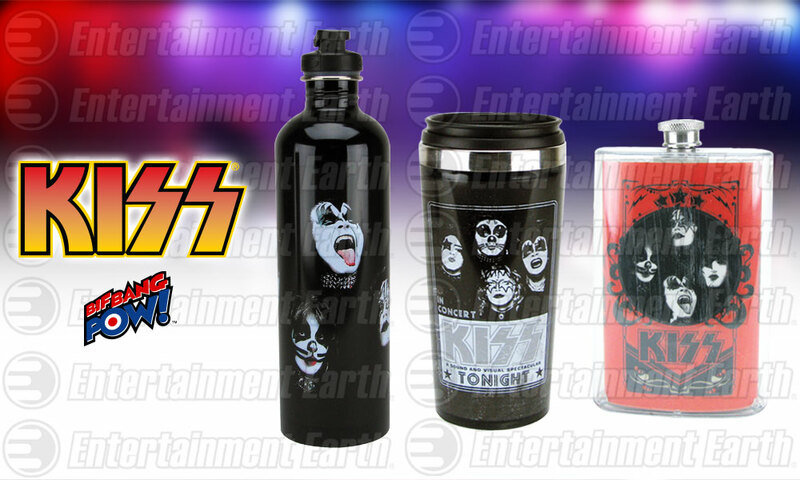 What better way to celebrate one of the greatest bands of all time than to carry your favorite beverage around like a rock star using one of our brand new KISS items. Stay hydrated on the go with this KISS 750 ml Water Bottle. It’s crafted from stainless steel with a plastic easy flip open sports lid. It also comes with a handy clip so you won’t have to worry about losing your water bottle while you’re rockin’ out in the crowd. 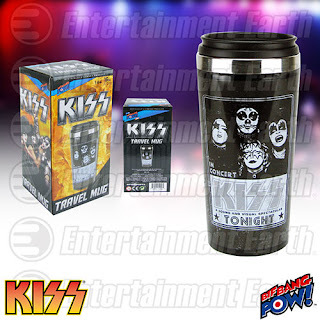 Features artwork of The Demon, Starchild, Catman and Spaceman on one side with the iconic KISS logo on the other side. Also available is the KISS 16 oz. Travel Mug. This mug keeps it as hot as KISS on tour! Sporting a spill proof lid, plastic exterior with a stainless steel interior, the travel mug measures about 7-inches tall and holds 16-ounces of your favorite beverage. The retro style black and white artwork against a black background shows The Demon, Starchild, Spaceman and Catman along with the KISS logo on a box office concert poster from 1970's. But wait, there’s more! 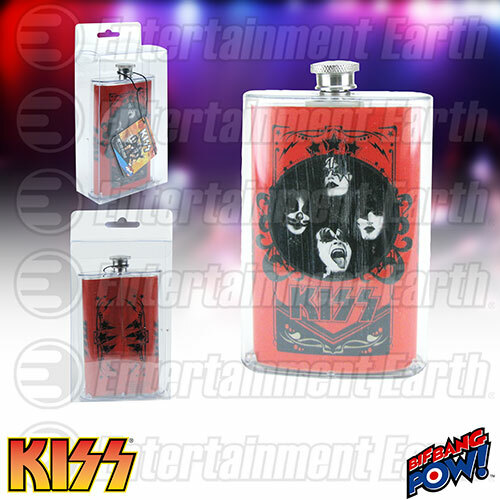 The KISS Retro Flask is a clear- acrylic and stainless steel flask featuring inlaid printed artwork showcasing all four members of the band against a dark orange backdrop. The unique artwork pays homage to the retro style 70’s posters from the era KISS originated. This classically designed flask holds 5 ounces of your favorite liquid and measures about 3-inches wide by 4 3/4-inches tall and 1-inch deep. Add them to your ever growing KISS collection today! See more of our rocking KISS collectibles here!